Constructed of premium leather, Blackhawk 3-Slot Leather Pancake Holster comfortably contours to your body, providing exceptional concealment for your weapon. Its two-piece, wet-molded, double contour-stitched construction contributes to the holster's incredible durability. Constructed of premium leather, Blackhawk 3-Slot Leather Pancake Holster comfortably contours to your body, providing exceptional concealment for your weapon. 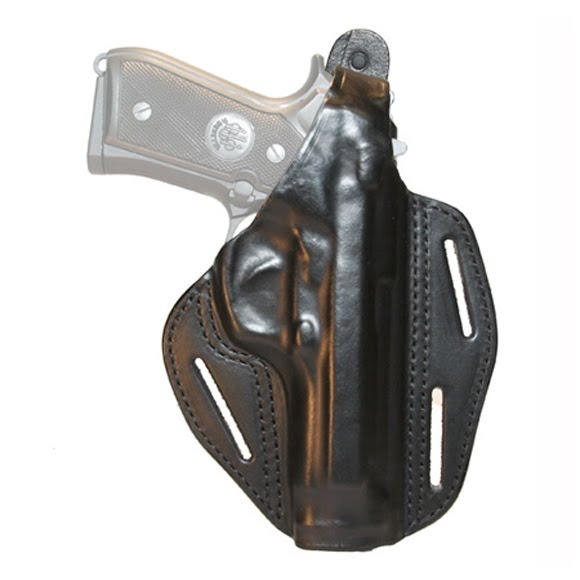 Its two-piece, wet-molded, double contour-stitched construction contributes to the holster&apos;s incredible durability.